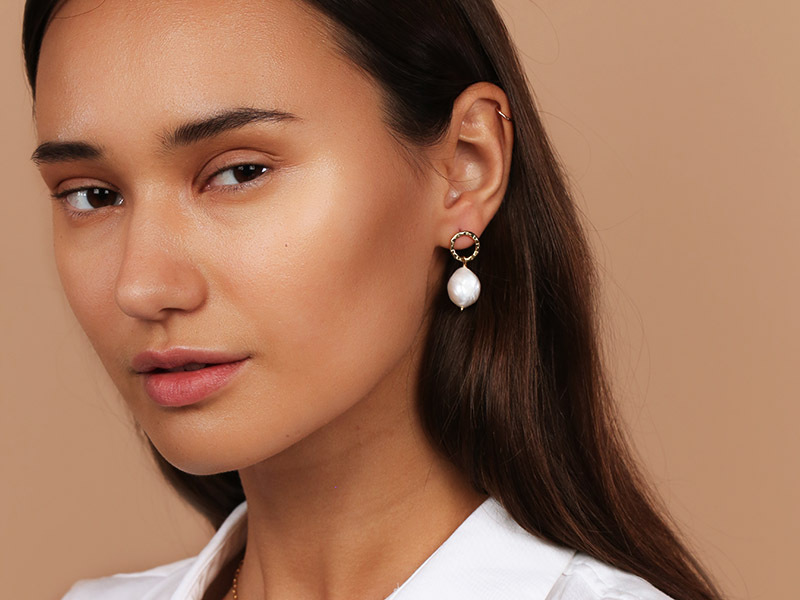 Pearl hoop earrings is exactly how to bring the pearl jewelry trend straight into 2019 fashion-forward style. Pearl earrings are prettier than ever thanks to the modern designs popping up on your Instagram feed. Designers are re-imagining the classic pearl accessories and we are thankful for it. As usual, when you want to discover how to buy fashion earrings, all you have to do is visit Ana Luisa’s blog. Read on to learn all you need to know about the hottest hoop earrings for this spring. Hoop earrings never go out of style but they do get upgraded each season. This season it is the turn of the pearl hoop earring. 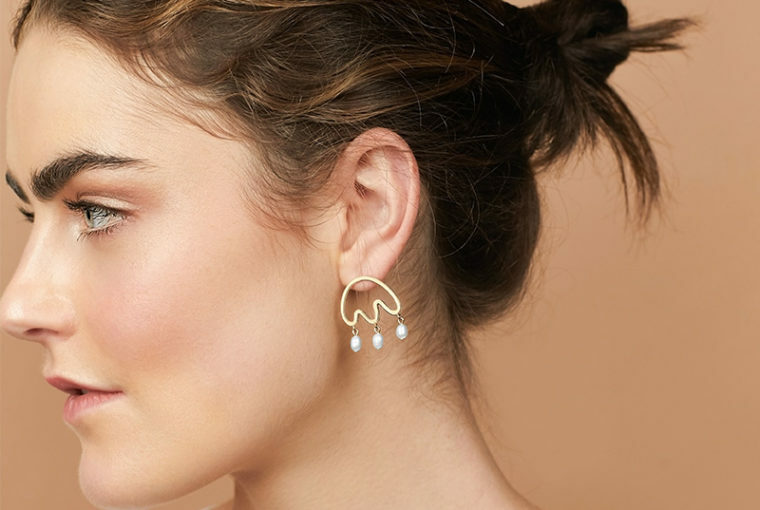 TBH, pearl hoop earrings are a welcome alternative to the big bold and colorful hoops we’ve been seeing since 2018. They are easier to pair and work for any occasion. If you’ve always loved hoop earrings then spoil yourself with a new stylish pair with pearls. Go for a pair that meets the other hot trends of this spring and summer. Look for pearls added to an asymmetrical hoop, a double hoop or open-hoop earrings. If you’ve been a bit reserved on the pearl trend then, consider this your nudge to jump on the bandwagon. We know by now that pearls do not age you if you choose the right style. What is fresher than a pair of hoop earrings? Nothing, that’s your answer. There is nothing as instantly cool as hoop earrings with a high ponytail. Okay, we’ll admit that pearls are traditionally seen as a classic piece of jewelry. But there are new classics on the market now and they look nothing like the iconic Audrey Hepburn jewelry. Today’s pearl earrings are edgier and unexpected. Want to stay as far as possible from the vintage inspired style? No problem, cool girl! These are the kind of pearl hoop earrings you should look out for. Baroque Pearl: these are the opposite of the perfect spherical pearls you commonly see. Baroque pearls have uneven shapes making each piece of jewelry unique. Baroque pearls are an eye-catching detail hanging off an open-hoop earring. Black Freshwater Pearls: walk on the dark side with black pearl hoop earrings. Let the color stand out against a silver or white gold. Give it even more edge with an asymmetrical hoop. Want to look feminine and flirty? Then bring in more pearls into your jewelry collection. Start off with the cutest pearl hoop earrings that you ever did see. Browse through your feed and you will notice bloggers using soft filter colors to match the romantic elegance of pearls. Want to follow suit? These are the designs to go for. Multi-Pearl Hoops: go all out and choose a pair that has pearls going all around the hoop. You can go for smaller pearl hoop earrings to keep it dainty and cute. If you want to go bigger then choose an oval hoop to contrast with the spherical pearl. Single Pearl Hoop: for an understated sweet look, choose a pair with a single perfect pearl hanging from the hoop. A rose gold hoop adds to the romantic feel of the white pearls. The artistic type challenges conventions through and through, even in their jewelry choices. Just like the girl who likes to keep her style edgy, the artistic type looks for the unexpected. You can do just that with pearl hoop earrings, trust us. Like we said before, today’s pearl earrings are nowhere near what your grandmother wore. 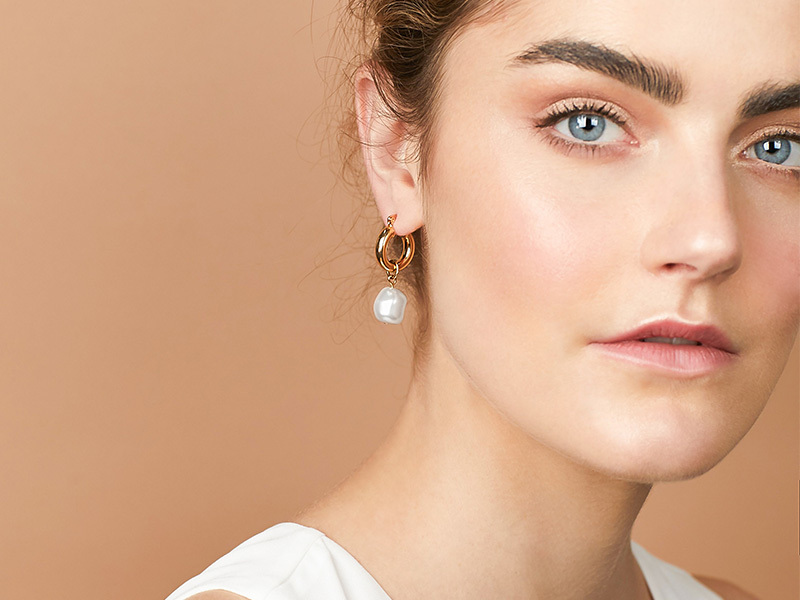 Sure, there are still vintage inspired pieces but there are also plenty options that are unlike any pearl jewelry you’ve ever seen. Want to stand out from the crowd with your pearl hoop earrings? Then go hunting for these styles. Single Statement Pearl Hoop: thanks to the 80s comeback, statement earrings are hot. They are even hotter when you wear just one oversized earring. Get the biggest pearl hoop earring you can find and rock it as the focal point of your look. Mixed Sized Pearls: pearls are still perfect when they show their imperfections. Pearl hoop earrings that celebrate nature’s diversity lets out the free spirit in you. Look for hoops with the mixed sized pearls as the star. Pearl hoop earrings are easy to pair with other earrings. Go for hugging hoops of the same metal or wear pearl studs of various sizes along your ear. This creates a subtle yet chic look. You can also combine pearls with the new trend of celestial earrings. Mix and match the pearl hoops with stars and moon shaped earrings. Stick to a single gold color for uniformity. The point is that pearl hoop earrings are for everybody, thanks to their diverse designs. Whether you like a classic piece, love to wear boho chic jewelry or are always ready to try a futuristic design, you can do that with pearl hoops. If you enjoyed reading this article and would love to get more inspirational ideas, stay close. We publish daily articles where you can find a lot of high-quality jewelry information. If you want to check out any of the designs featured in this article, visit Ana Luisa online jewelry shop. Check out our unique pearl earrings collection and fall in love with pearls.